It was from the horse's mouth. 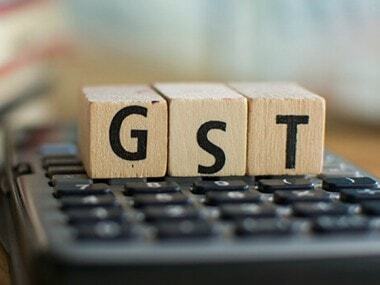 Revenue Secretary Hasmukh Adhia recently said eventually there would be a single GST rate and ideally there should not be a separate state GST and central GST in conformity with GST’s credo 'One Country One Tax'. This official position was stated in the last week of June when GST was being readied for its 1 July 2017 launch. While it is impossible to achieve the ideal of a single unified GST given the strong federal character of the nation with States fighting for their revenue with every ounce of energy in their command, a single rate GST regime is not impossibility. Indeed it is very much possible and desirable. Given Finance Minister Arun Jaitley's vehement opposition to and disavowal of the single rate GST regime, one wonders if Revenue Secretary Adhia would have got a gentle dressing down from the affable Finance Minister. But one thing is clear: Jaitley's disavowal seems to be to spite BJP’s bête noire Rahul Gandhi, the Congress Vice-President, who for once spoke sense when he said the GST rate should be a one-size-fits-all 18 percent written into the Constitution. Whether it should be 18 percent can be debated. Also debatable is if it should be cast in stone and written into the Constitution though admittedly Constitution is capable of being amended. But there is a very strong case for a single rate. Indeed many countries, that have adopted VAT which GST is, have also adopted the single rate regime. 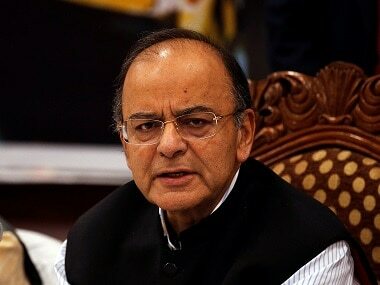 Jaitley says Hawaii chappals and swanky BMW car cannot and should not be taxed at the same rate. This is a typical communist construct. It is nobody’s case that rich people should be let off with a rap on their wrists. But it is conceded by economists that the best corrective for inequity is direct taxes. The same Jaitley was the first to junk Wealth Tax in 2015 which held sway in some form or the other in the country till then. That revenue from wealth tax was peanuts was hardly a ground to junk it just as it was hardly the reason for keeping estate duty in a suspended animation by the late former finance minister VP Singh. 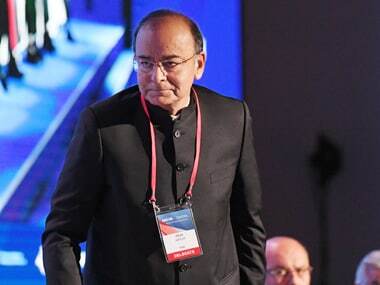 It is strange that Jaitley who is reluctant to tax the rich with heavy hands when it comes to direct taxes, pontificates on the need to have discriminatory GST rates that puts a heavy shovel on luxury items while being kind to necessities and essentials especially for the common man. Jaitley also forgets that GST like other variants of VAT or value added tax is a destination based tax which typically targets the value addition at each stage without being unduly bothered about its economic status -- necessity or comfort or luxury. Let us say a compressor is manufactured. Compressor has multiple uses. It is used in drilling. It is used in air-conditioning homes and offices. It is used in refrigeration. It is also used in air-conditioning BMW. Can Jaitley tax the same compressor at 28 ercent when it enters BMW and at 18 percent when it is an integral part of a domestic air conditioner even though at present all air conditioners are taxed at 28 percent? But then Jaitley has been ‘rationalising’ the GST rates which he says is a work in progress and soon he might prune the 50 items in the 28 percent list further. Who knows after air-conditioned restaurants, it might be the turn of air-conditioners to earn Jaitley’s indulgence? Similarly malt is used both in food products including beverages as well as in the sinful beer. Should malt be taxed at different rates accordingly as the use it is put to? Marijuana the intoxicant that is banned in our country is capable of being used as a pain killer for cancer patients as well as for entertainment as in states like Colorado in the USA. Would Jaitley have two sets of rates for marijuana once India emulates the USA and recognises its dual use? Such micromanagement results in tampering with records so that one can get away with lower taxes. whether an item was an essential item or a luxury -- needlessly embroiling the government in controversies and nitpicking like he did when he distinguished between air-conditioned and non-airconditioned restaurants which he mercifully gave up in his recent ‘rationalisation’ exercise. Instead of using GST as a tool to usher in social and income equity, let him use direct taxes for the same. Let him bring back estate duty or inheritance tax and wealth tax. Some states in the USA impose a whopping 45 percent inheritance tax that forces tycoons into gifting during their lifetime instead of bequeathing on their death. That Jaitley is indulging in grandstanding is clear -- while caviling at the single rate, he is gradually bringing down the items under the 28 percent category. Who knows his work in progress might unwittingly result in there being just two classifications 5 percent and 18 percent which would bring India closer to the near universal norm of single rate GST.